Summer vacation is over, and reality is setting in again. But if you think that we’ve been dozing off for the summer, this newsletter is for you. Over the last few months, your All IN Steering Committee has been working hard. In particular, we have made written submissions to the Ministries of Housing and of Municipal Affairs (Ministers Chris Ballard and Minister Bill Mauro) on the inclusionary zoning bill. We have also welcomed a new member to the Steering Committee. More on these and other news below. Make sure that there is sufficient funding for infrastructure, public services, and amenities. All IN’s submissions can be found here. We also reached out to and sent our submissions to several MPs, MPPs, and Councillors, including MPs Marco Mendicino and Adam Vaughan, MPPs Catherine Fife, Peggy Sattler, Jagmeet Singh, and Michael Colle, and Councillors Christin Carmichael-Greb, Josh Matlow, Joe Mihevc, Mike Layton, Ana Bailao, Joe Cressy, Sarah Doucette, Shelley Carroll, Gord Perks, Janet Davis, and Michael Thompson. We urge you to contact your MPP and tell them that you want the province to do more than design a bill that will do little to actually build housing for all. Let them know that the province must put its money where its mouth is, and help our children, our neighbours, newcomers, seniors, and people of all income levels have safe and suitable homes. Here is where you can find the contact information for your local MPP. Last April, we made submissions to the Ministry of Community Safety and Correctional Services on how policing can be improved in Ontario. The latest news from the Minister responsible (now David Orazietti) is that they are reviewing all submissions, and that updates will be posted on the Ministry’s website, here. 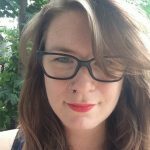 Plea se welcome Cara Chellew to our Steering Committee! Cara recently received her Masters of Environmental Studies, Planning, from York University. Soon, you will be able to read some of her articles in The Ontario Planning Journal and in Spacing. Cara joined us in mid-Spring. Since then, she has made significant contributions to All IN: she researched and co-wrote our submissions on inclusionary zoning, maintained our Facebook page (Go ahead, and like it, here), and helped us with our web-site. We are thrilled that Cara has joined All IN and our Steering Committee. YOU! Join All IN’s Steering Committee! We invite more of you to join our Steering Committee. We are looking for people who are reliable, committed to All IN’s mission of building inclusive communities, and can give between 5-15 hours a month. If you have fundraising, grant research/ writing, book-keeping/ accounting experiences, or well-honed research skills, we’d especially love to have your help. Please send your resumé and cover letter to dyanoosh@allinadvocacy.ca. Don’t have extra time? Then help us advocate for inclusive communities by making a monthly or one-time donation by going here. Remember, currently, none of us get paid for this work, but we still need funds to run programs, pay for our web-site and banking fees, and to help grow the organization. For a second year in a row, All IN will participate in the YIMBY Festival. 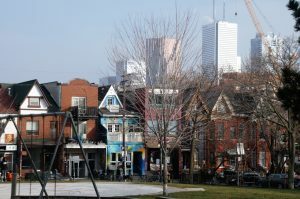 YIMBY is an event celebrating a culture of YES in Toronto. Many organizations, take part in this great day long festivity. All IN will be at YIMBY from start to finish (12 p.m.- 4 p.m.), so please, come by and say hello, or, better yet, help us for an hour or two at our table. You can reply to this email to help. More information about this year’s YIMBY, which is being held at Metro Hall, 55 John Street, can be found here. This fall, we will look into how we can grow and sustain All IN financially, so that we can hire staff and do more programming, more outreach, and more advocacy. If you would like to help us, please write to dyanoosh@allinadvocacy.ca We will also start planning our next event, and will keep abreast of developments on policing and housing with both the Province of Ontario and the City of Toronto. We look forward to widening the net of people who collaborate to build inclusive communities. Until next time, let’s advocate for & build inclusive communities!